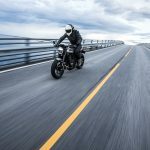 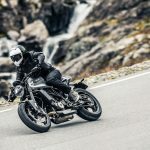 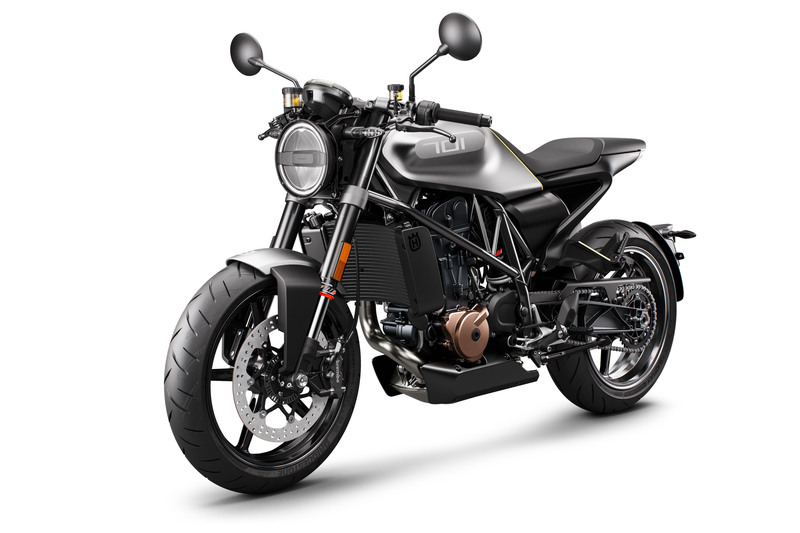 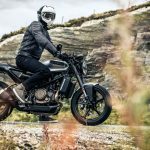 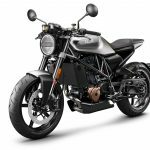 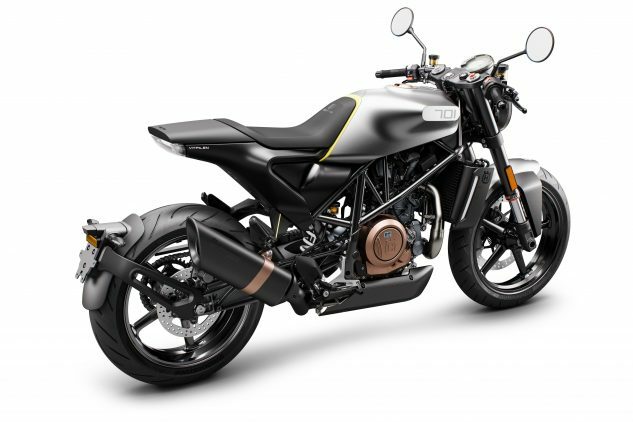 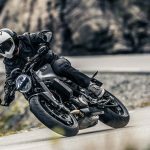 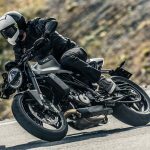 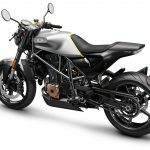 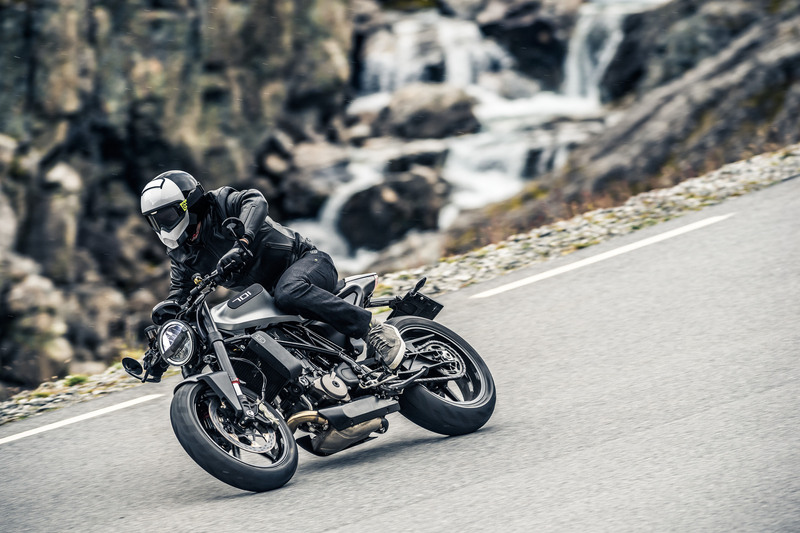 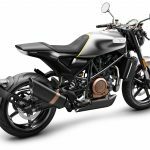 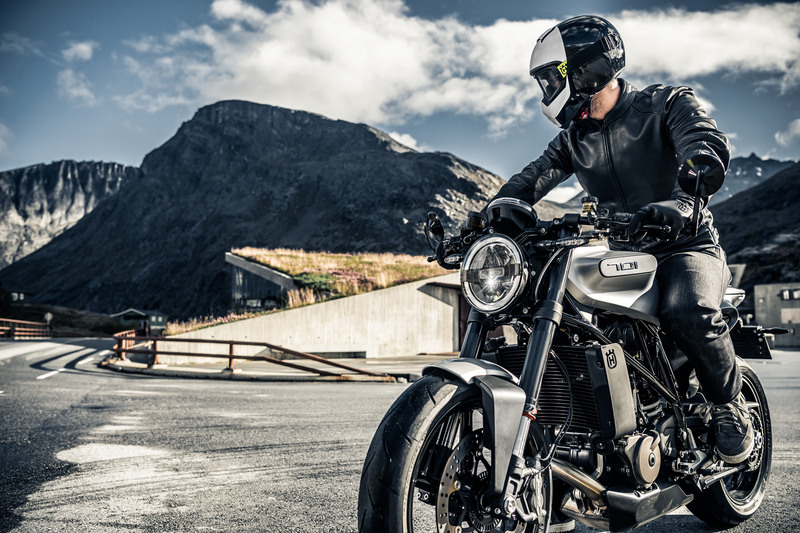 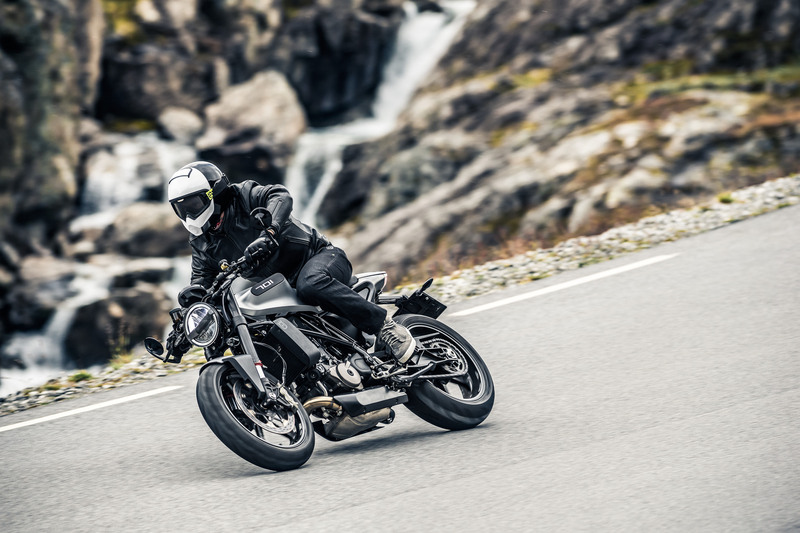 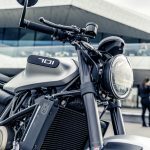 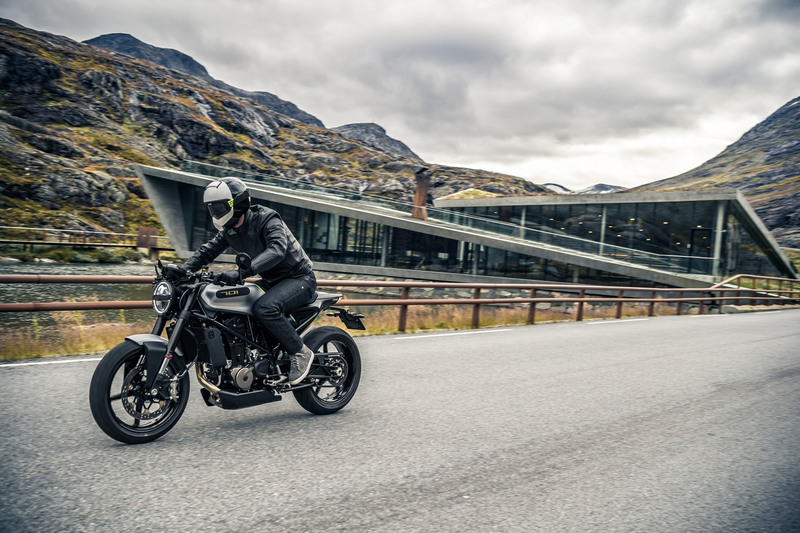 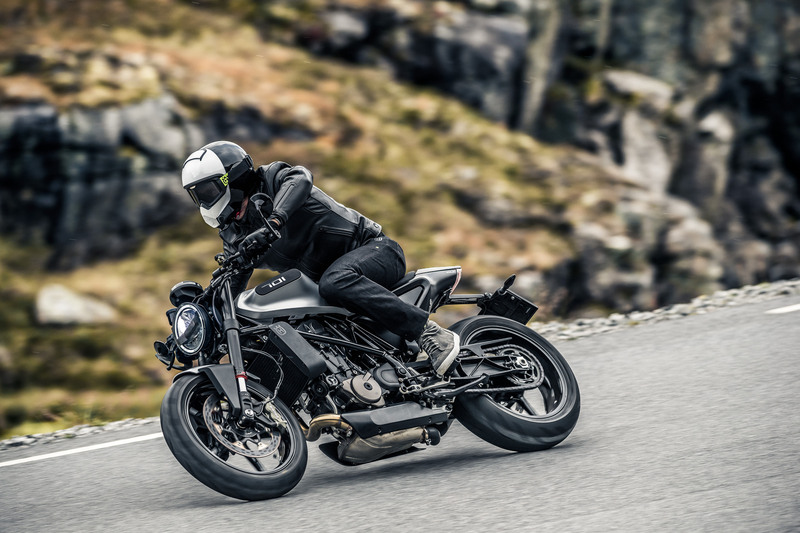 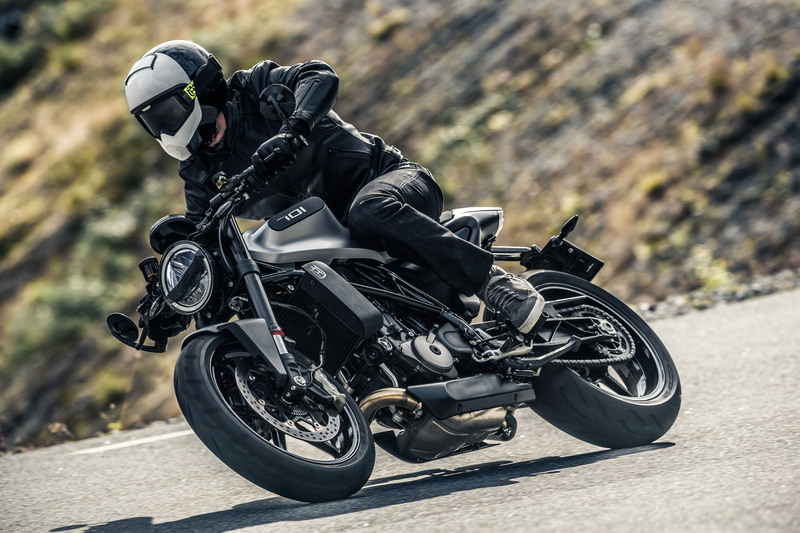 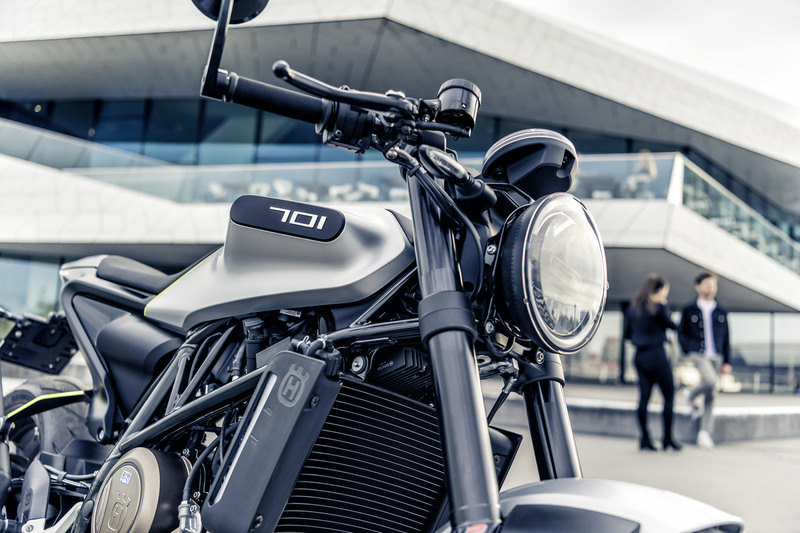 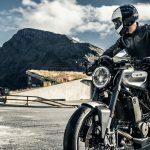 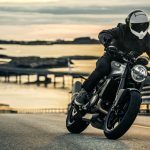 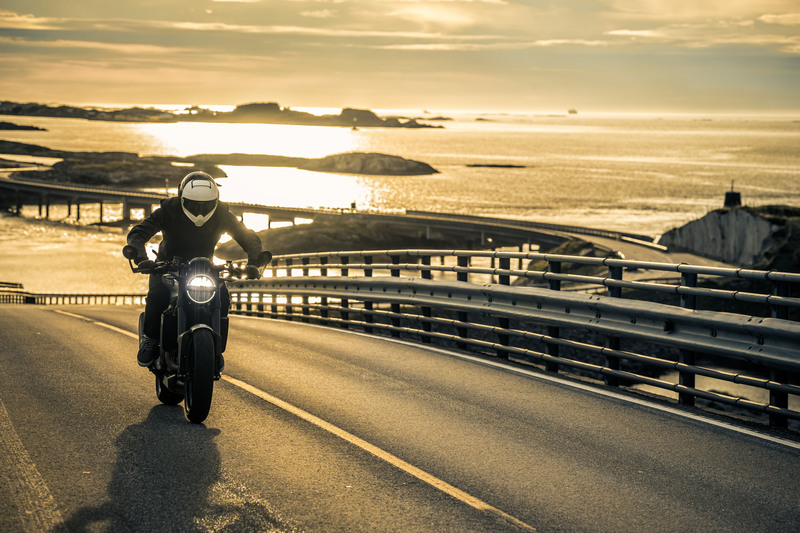 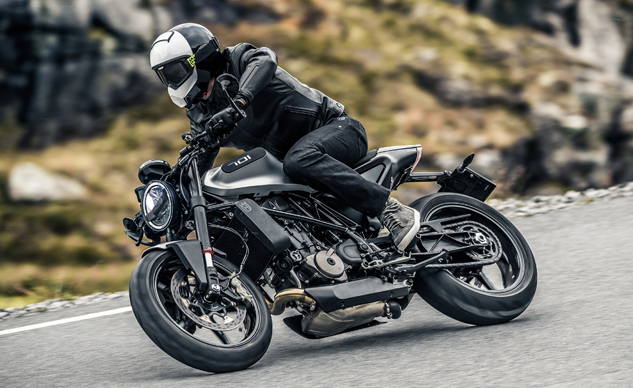 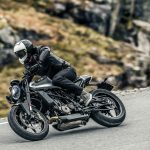 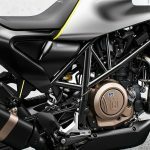 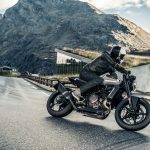 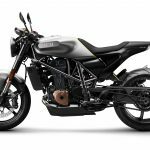 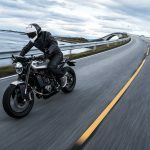 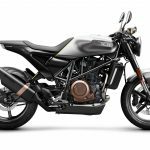 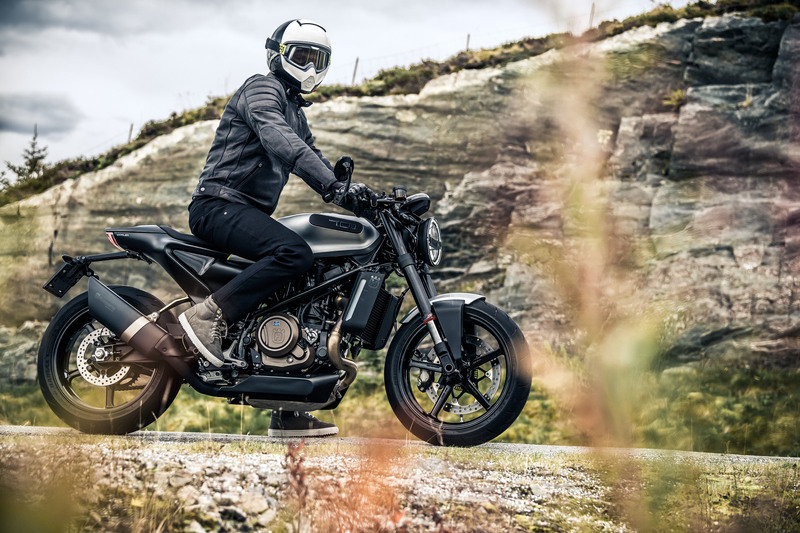 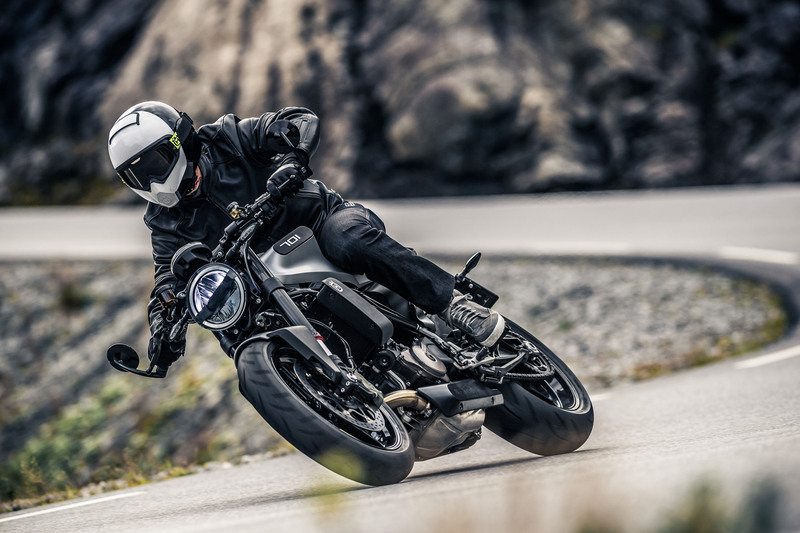 Husqvarna presented the production version of its Vitpilen 701 at EICMA alongside a concept version of its sibling, the Svartpilen 701. 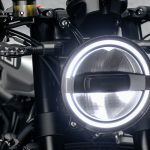 We’ll have more on the flat track-inspired Svartpilen 701 in a separate post, but here’s what we know about the “White Arrow” Vitpilen. 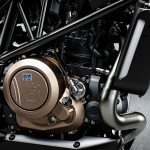 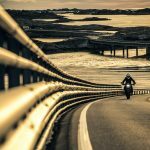 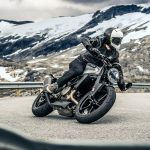 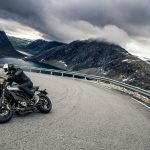 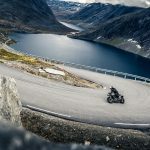 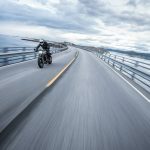 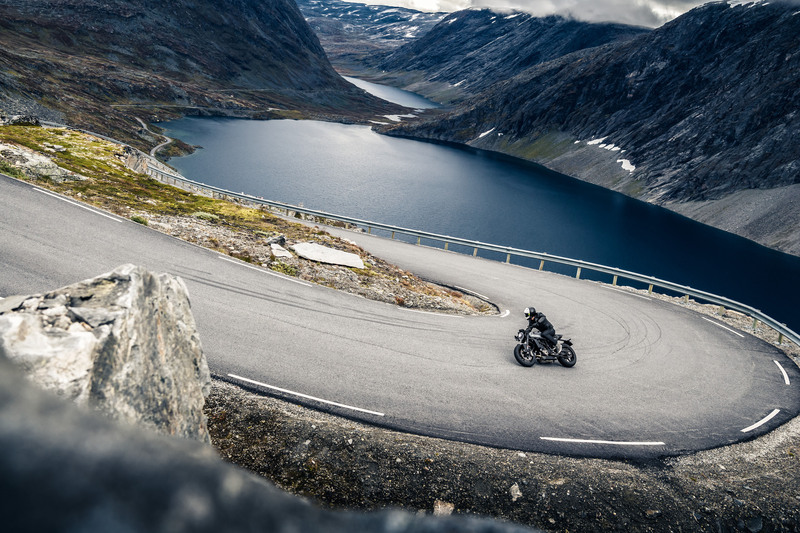 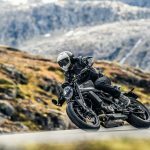 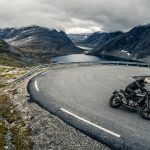 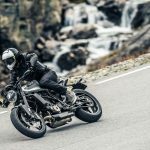 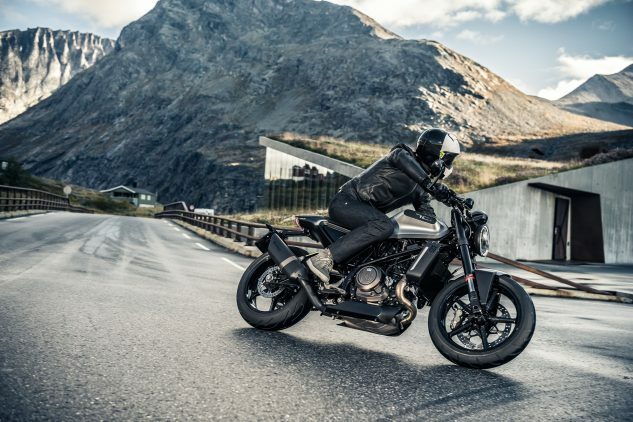 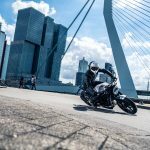 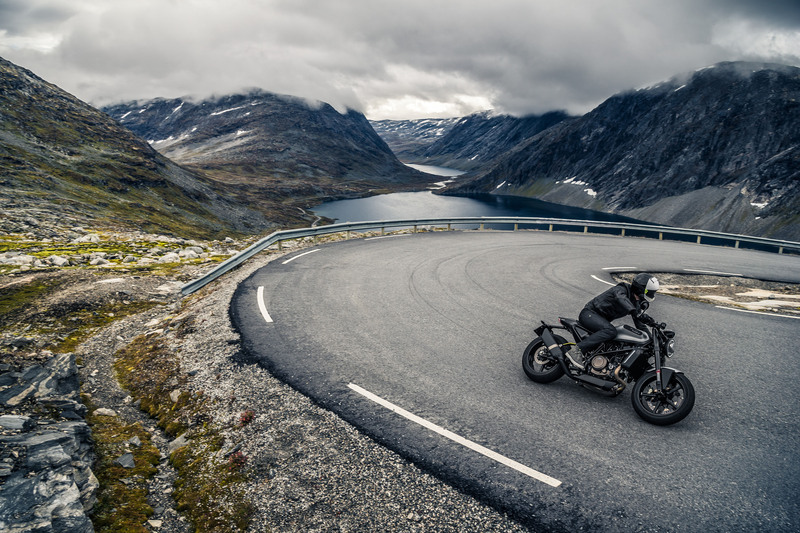 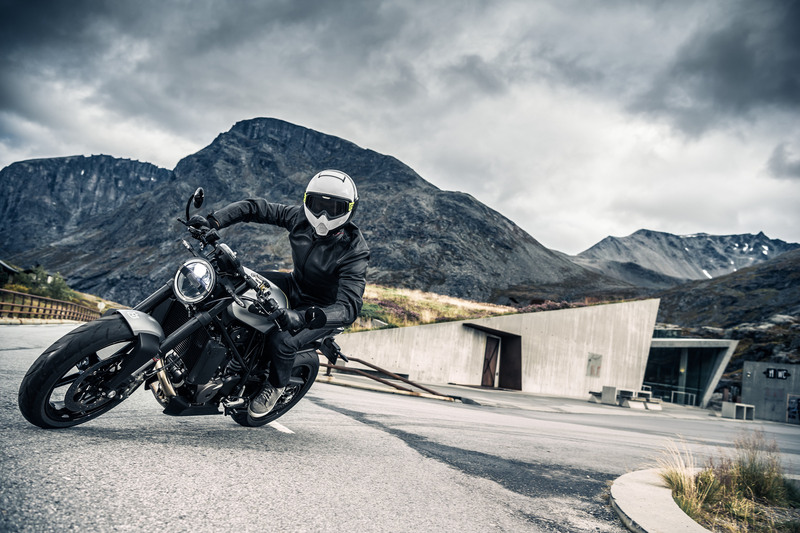 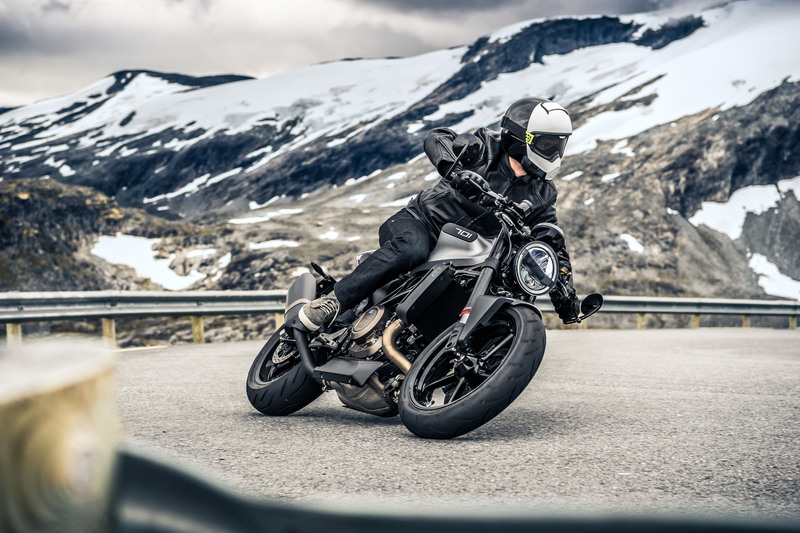 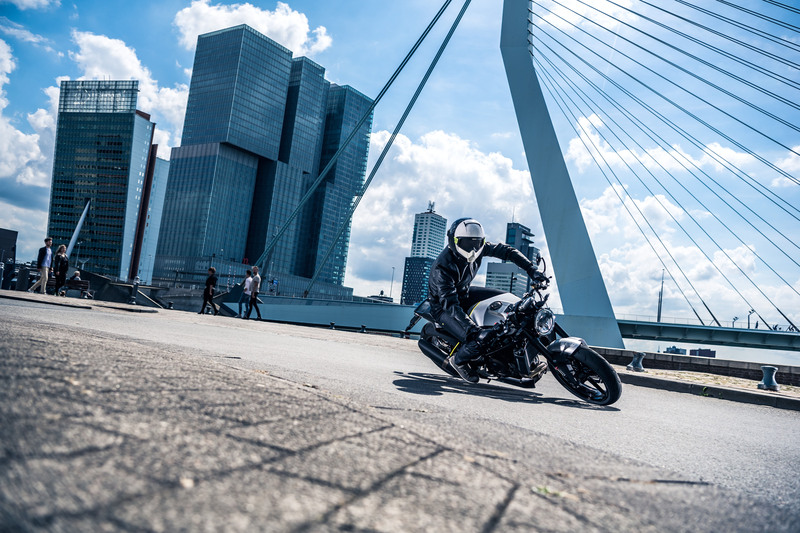 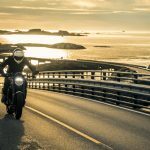 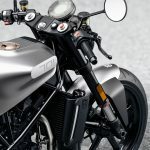 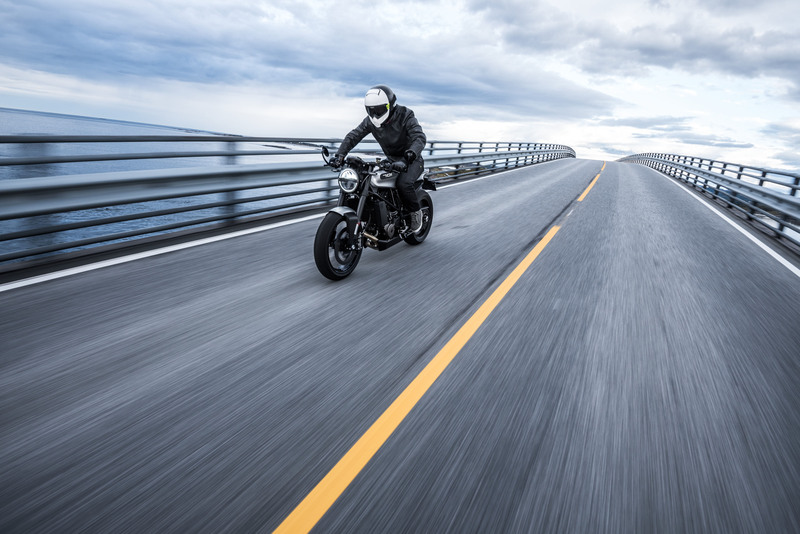 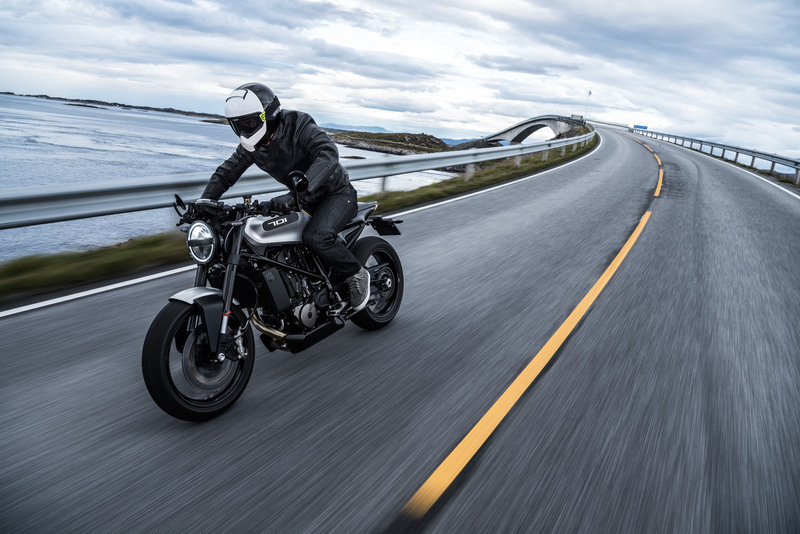 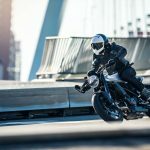 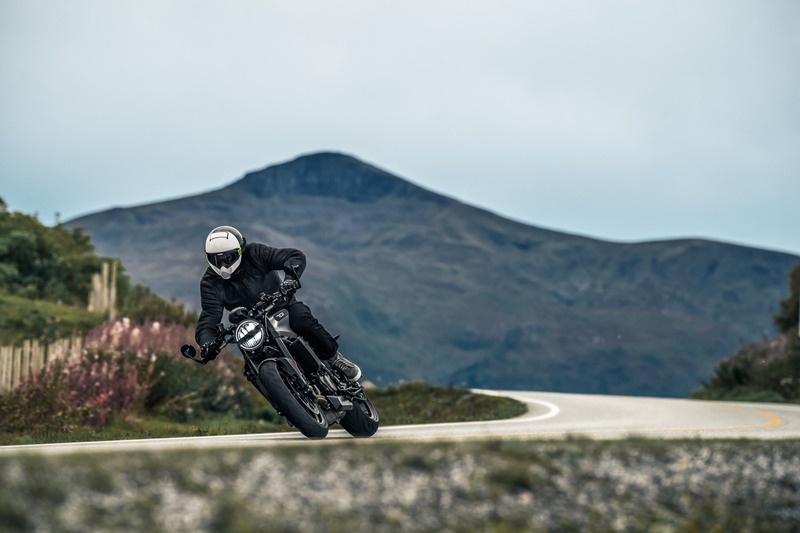 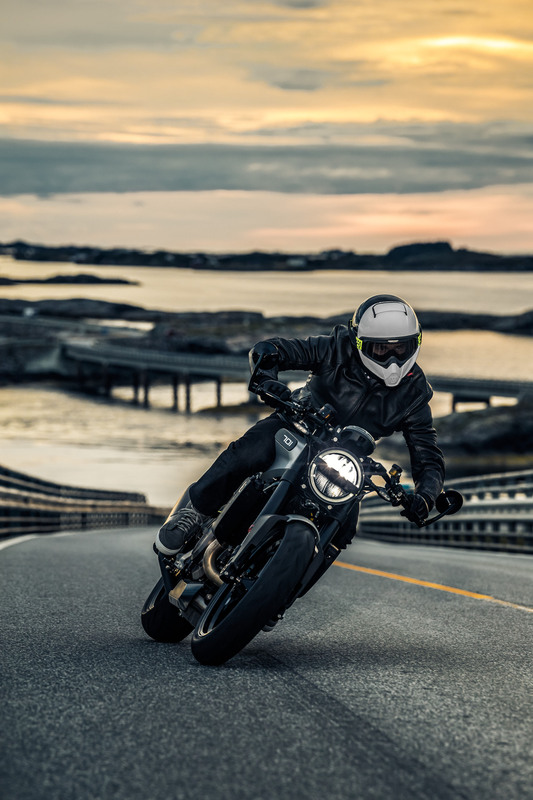 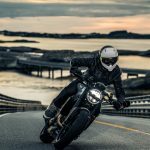 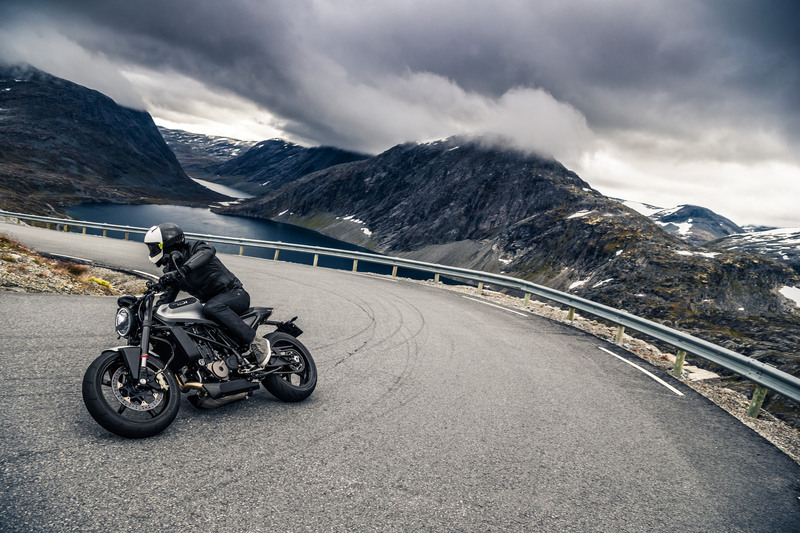 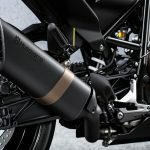 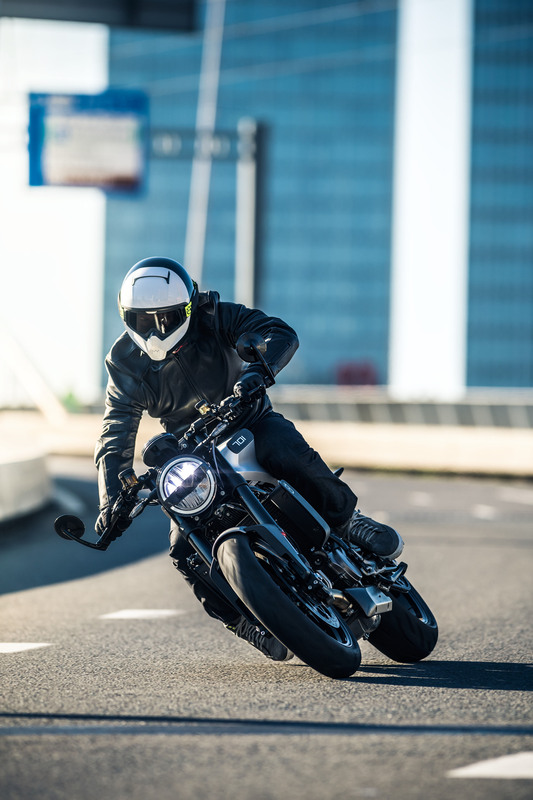 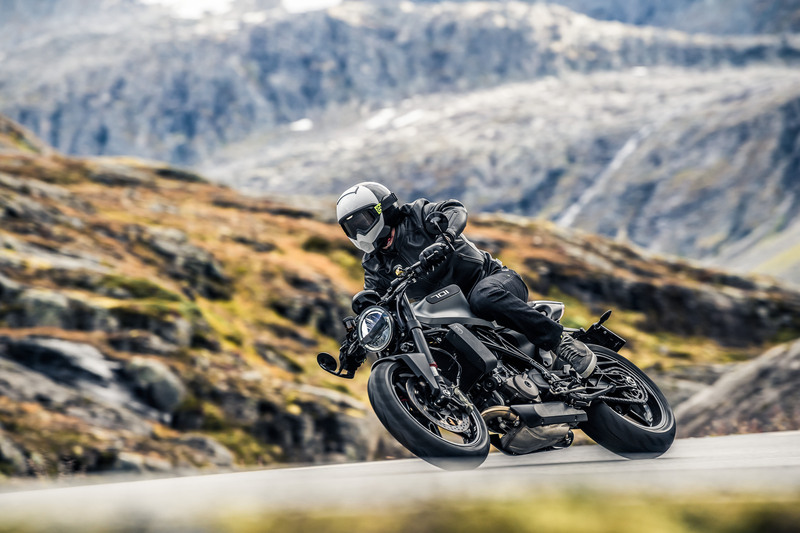 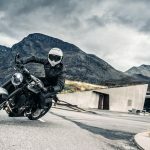 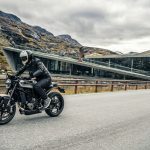 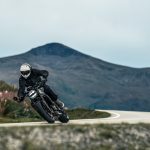 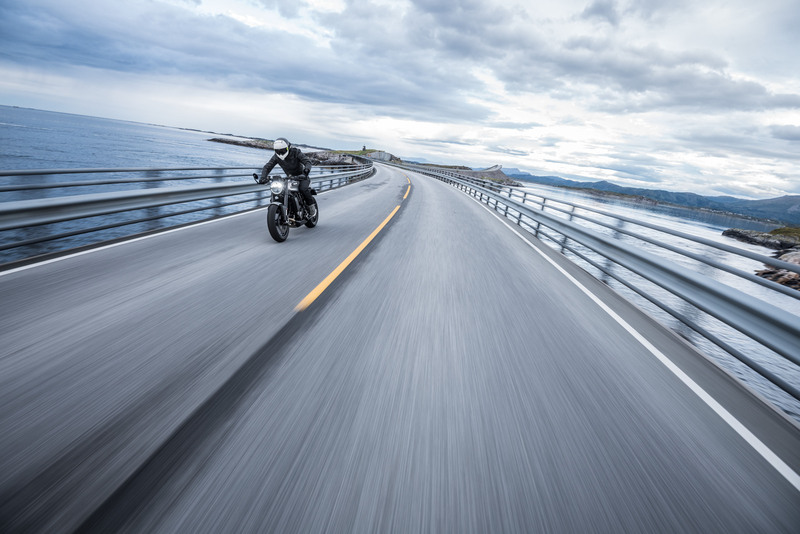 The Vitpilen 701 is powered by a 693cc Single derived from the KTM 690 Duke’s powerplant, claiming 73.8 hp at 8500 rpm and 53.1 lb-ft. at 6750 rpm. 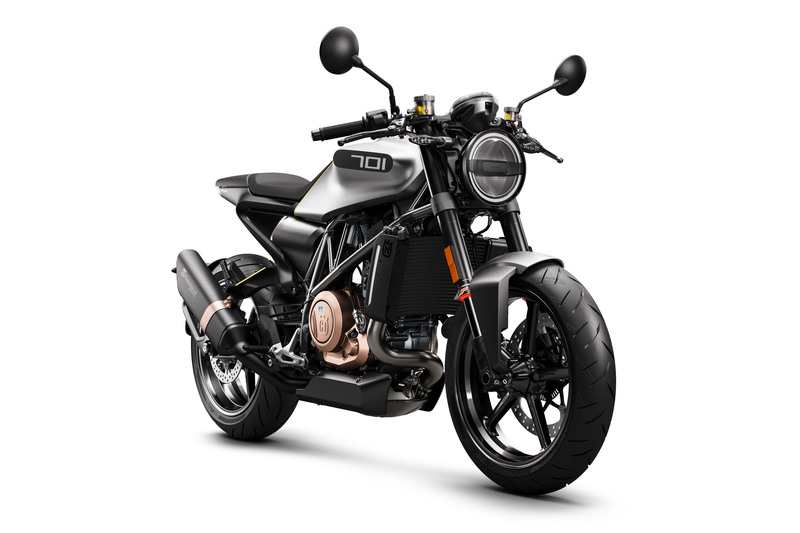 The engine is matched with a slipper clutch and six speed transmission. 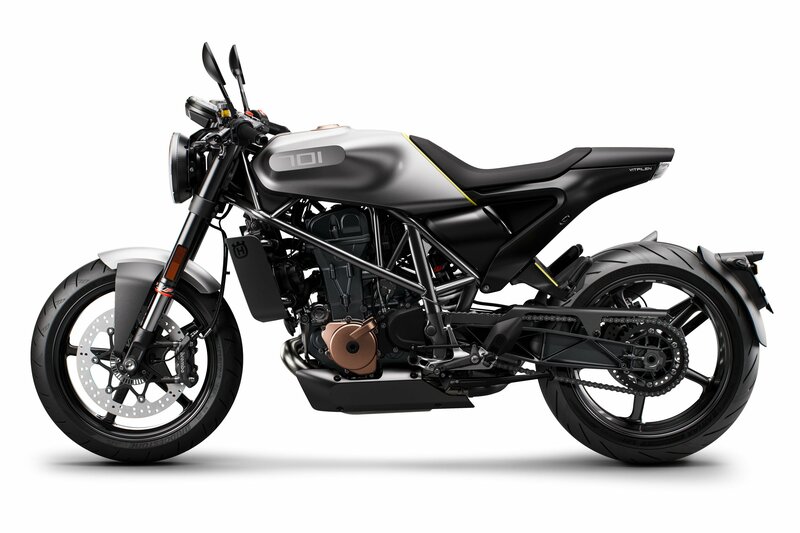 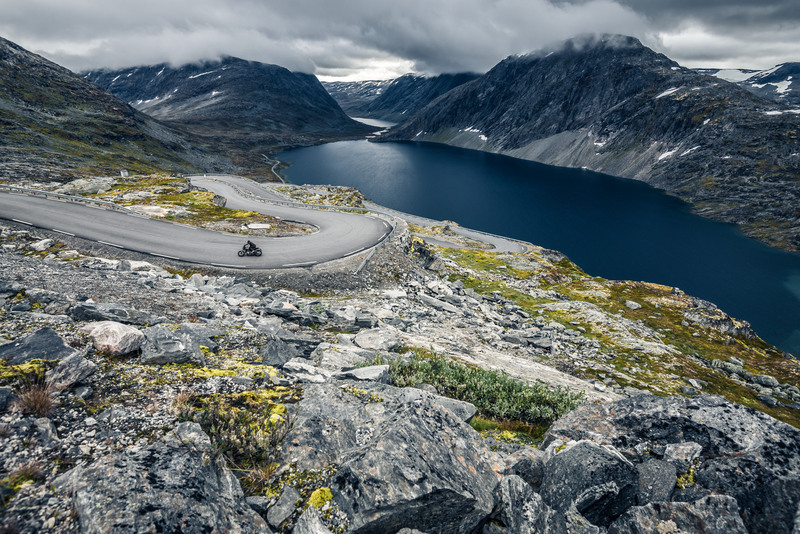 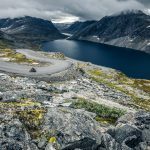 The electronic fuel injection is managed by a ride-by-wire throttle control, with traction control as standard. 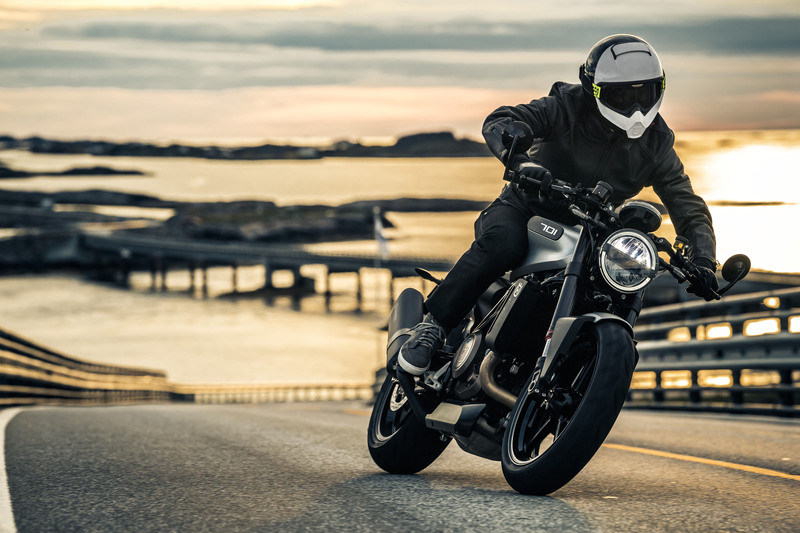 The engine is mounted to a chromium molybdenum tubular steel frame. 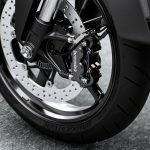 WP Suspension supplies the 43mm upside-down fork and linked rear monoshock, both offering 5.3 inches of travel. 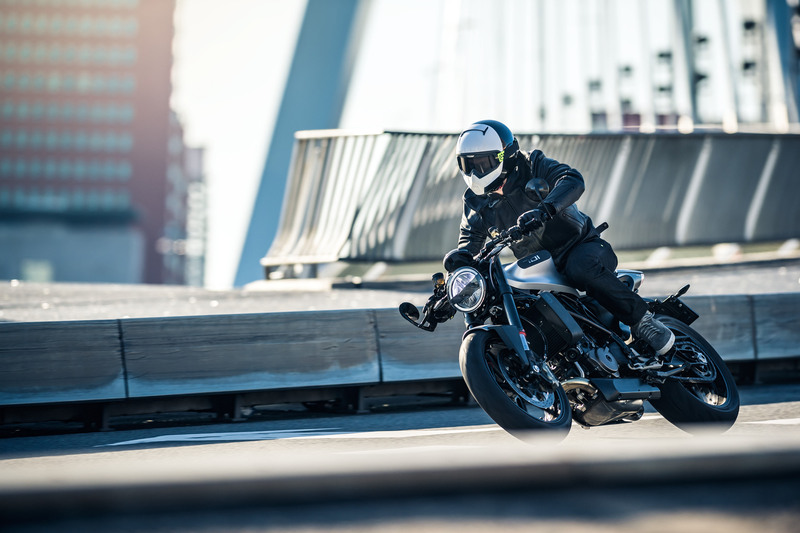 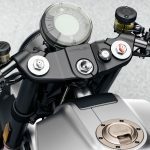 The front wheel is equipped with a single 320mm disc and Brembo four-piston radial-mount caliper while the rear wheel has a 240 mm disc with a single-piston caliper also from Brembo. 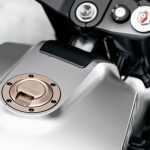 A switchable Bosch 9M+ ABS comes standard. 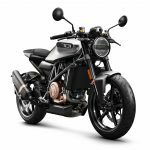 Other important details include a 32.7-inch seat height, 3.2 gallon fuel tank and a claimed weight (without fuel) of 346 pounds. 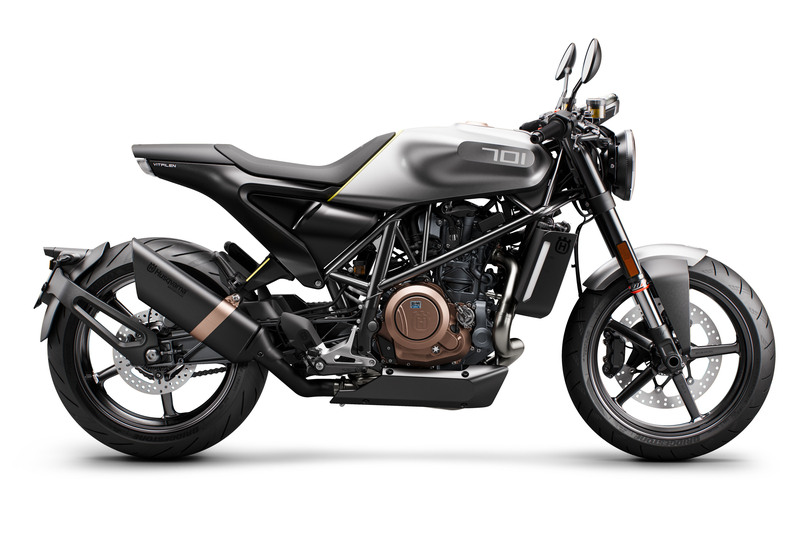 We’ll have information on U.S. pricing and availability when they became available. 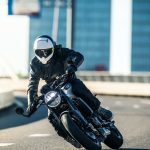 Wheelbase 56.5 in. 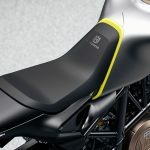 +/- 0.6 in.